This course is geared toward primary care physicians and gynecologists who are considering robotic gynecologic surgery as an alternative. Dr. Garza compares and contrasts the current minimally invasive surgeries (MIS) for a hysterectomy---vaginal, traditional laparoscopy and robotic laparoscopy. His presentation includes an overview of robotic surgery and equipment, the clinical advantages and relevance, the surgeon’s learning curve and costs. 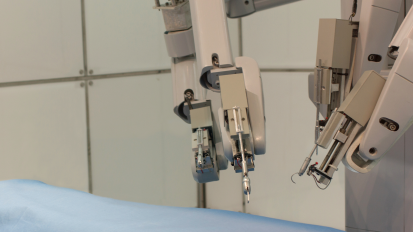 Several videos of common robotic gynecologic surgeries are included.